Home / Blogging / Web Hosting / Free Blog Hosting vs Paid Blog Hosting – Which Is Better? Free Blog Hosting vs Paid Blog Hosting – Which Is Better? I like paid hosting much better. If you plan on being a serious blogger and planning on making some serious money from your blog, paid hosting is the ONLY way to go. Making money on-line is one of the coolest things since sliced bread so I’m all about paid hosting. If you just want to dabble a bit and you’re not really interested in turning your blog into a business than free hosting may be perfect for you. By the way, I use Bluehost for all my hosting needs. Check them out. I highly recommend them as the ideal WordPress hosting platform. By the way, I use WordPress as my blogging platform, but that’s another topic for another blog post. 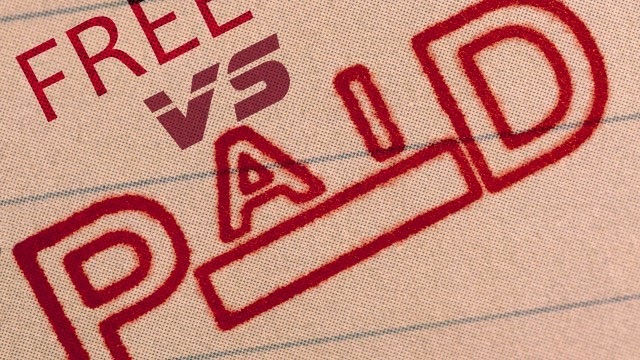 Let’s dive right into Free vs Paid Hosting shall we? You do get per-designed templates with all free hosting platforms. 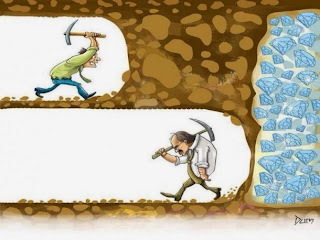 The problem is, they’re very limited with what you can do. Customizing them may or may not be possible. Even if it’s possible to customize the theme, most of the time you can only customize it to a certain point. Free hosting is great for new bloggers who want to get their feet wet. Let’s face it, in today’s world you’re not getting anything amazing for FREE. Your domain name (ex: www.YourDomainName.com) on a free hosting account is may look something like this: http://www.blogger.com/profile/8574635758493. I don’t know about you but that doesn’t say “professional” to me. When you use a free hosting to host your blog it also has a feeling of you working for someone else. You essentially plug yourself in to someone else’s network giving them more power. You’re creating a bigger web presence for them not you. I say, create your own presence. You’re very limited with creating your own brand on a free platform. Again, your domain name will say it all. When you’re searching for a hosting company make sure they can support WordPress 100%. I used to use GoDaddy but found Bluehost a much better choice for blogging. Bluehost is very easy to use and specifically build to handle WordPress. I found it much more user-friendly than GoDaddy and much less confusing. With paid hosting you get the freedom to own your own blog. With the free platforms your blog is actually sitting on someone else’s property. It’s almost like renting a home vs buying a home. Once you’re done renting you get to give it back. I know free hosting isn’t quite like real estate but there no denying that your blog sits on someone else’s server you have no control over. SEO is a big one too. Let’s face it, we live in a Google world. If you want to be found by the major search engines, it’s much easier to control the SEO aspect of your blog when you set up your own paid hosting. Your SEO options are very limited with free hosting platforms. Programing and behind-the-scenes “stuff” (yes I’m very technical with my language if you can’t tell) is much easier with paid hosting. You or your programmer will have 100 free rain to do whatever you desire with you blog. You can change the look and feel completely, you can add sub domains if you’d like etc… This is probably the biggest reason why paid hosting is the way to go. This is a guest post by YOUNES from My Blogger Helper. If you would like to write for My Blogger Helper, check our submission guidelines.